“Malkauns on the way up, Darbari on the way down”. I rediscovered it recently as part of my research into the Kanada series of ragas, and after covering Nayaki and Sughrai Kanada, chanced back on this raga. This raga is like meeting a sophisticated personality, who is gracious, emotionally open and balanced between the past and future. By the past and future, you can have a conversation with this raga going over your past experiences as well as what lies ahead. This conversation can proceed along a number of lines – unlike many mono-melodic ragas, Kaunsi Kanada’s colours span an infinite kaleidoscope, offering the raga devotee a multi layered conversational opportunity. It’s a bit like having a conversation with a classic book – all shades of emotions and possibilities exist. One can come away with many angles to the same work. Kaunsi Kanada highlights the exceptional sophistication of the Hindustani Raga system of “colouring our minds”. However, it takes discerning taste to understand what this is all about, which is why, I probably did not have the maturity earlier to appreciate it. This composition played above is slightly different to the one played by Panditji… but is pretty close. The key point about this composition is that the emphasis is on the Pa, whereas most Kaunsi Kanada compositions, true to their Malkauns roots, emphasise the Ma. 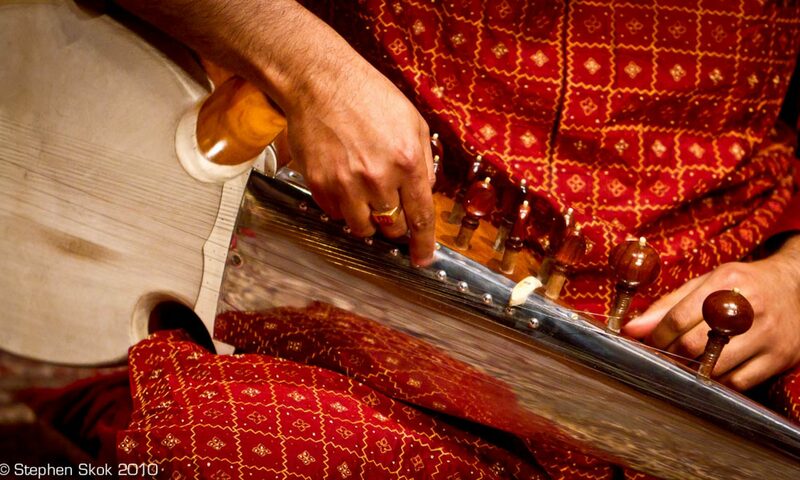 This changes the mood of the raga, and opens up a host of other avenues to be explored. In keeping with my preference, I’ve added a very small expansion piece (vistaar) for demonstration purposes only. The idea is to keep the theme intact and maintain the serenit of the raga. As is standard with my website, I treat technical details separately, as it is of limited use to anyone other than musicians. And I certainly want to focus on the emotional part of Raga music, instead of displaying dry, unemotional intellectual erudition by going on and on about raga grammar, (e.g terms like : raganga Kanada joined to this or that sangati – etc) – which is usually the hallmark of dry, intellectual non-musicians. Well educated in English yes, raga understanding – no. The tanpura is usually tuned to Sa-Ma for Kaunsi Kanada, reflecting the base Malkauns structure of this raga.